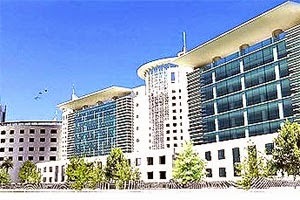 The Indian real estate market is definitely in recovery mode again. However, at this point in time, it is more than evident that the festive season was not able to fully harness the benefits of market recovery. This is because the events that have catalysed the recovery – namely the new government at the centre, its pro-business policies, the encouraging Union Budget and the provisions it has announced favouring real estate – will need more time to bring their benefits to bear on the market. Likewise, the RBI has held on to current interest rates in favour of safeguarding against further inflationary trends. It will take several more months for the market to get into convincing forward momentum again, so the festive season did not bring the kind of momentum that was hoped for. While demand exists, it is still held in abeyance by various economic factors, including the natural lag between the announcement and implementation of government policy catalysts. Reduced pricing could potentially induce some further sales momentum in certain pockets, but it is not likely to happen as developers are not keen on signalling a correction, especially when demand is waiting in the wings. New projects are in any case being announced at lower rates. Developers have been addressing the situation by offering selective discounts and incentives, the success of which has varied across cities and locations. Those with greater holding power continue to wait for the market to pick up so that sales velocity will accelerate. With reference to the high levels of unsold inventory, launches have decreased consistently since 1Q13, with exception of 1Q14, in which launches increased. This has resulted in unsold inventory further increasing by 6.7% in the same period because of sluggish sales. It is only after four consecutive quarters of slow launches, activities such as reconfiguration of units, reduction of total ticket price, etc. induced some improvement in sales at the country level. Prior to the general elections, developers had launched many projects to gain a competitive advantage, and in anticipation of a recovery in market conditions after the polls. However, the launches did not really pick up post elections, as residential property buyers continued to remain cautious. This is actually positive, because in a healthy market environment, supply needs to take its cues from on-ground demand. In short, sales velocity during this festive season have remained uninspiring despite the various attractive pricing schemes and discounts that developers have been offering to attract buyers. However, the current scenario is no way indicative of what lies ahead for the real estate market, for which the outlook remains very much positive. To my reckoning, we are currently at the cusp of growth, and the tangible manifestations of the current market recovery will become visible over the next twelve months. The old dictum ‘what cooks slowly cooks well’ is very pertinent in the present scenario. JDA Software Group, Inc., has announced that German manufacturer Continental Tires, has selected solutions from the JDA Manufacturing Planning Suite to help it transform its global supply chain operations. As part of the company’s SCM 2.0 transformation, Continental Tires is looking to employ different supply chain strategies to serve its different customers and channels based on their value to the business. Continental Tires will be deploying a global solution footprint from JDA’s supply chain planning solutions. This integrated solution suite offering is united through the JDA Platform which also is a key facilitator for the integration to the SAP ERP landscape at Continental Tires. 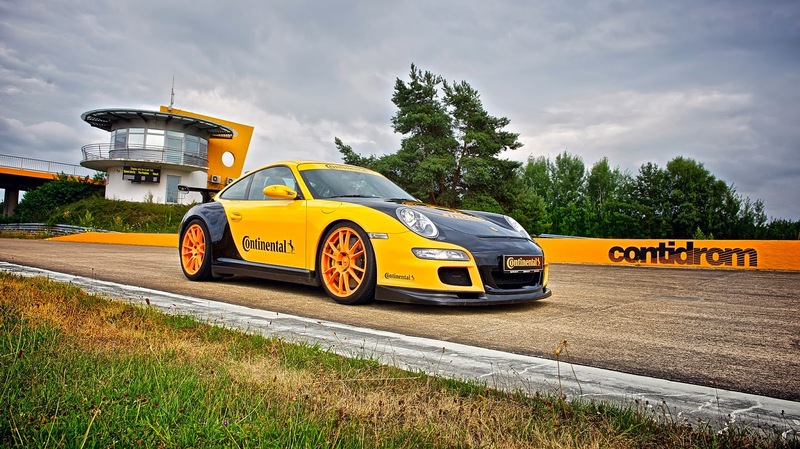 With sales of €33.3 billion in 2013, Continental is among the leading tire manufacturer and automotive suppliers worldwide. Its Tires division has 73 locations in 42 countries. The division produces tires under the brand names of Continental, Uniroyal, Semperit, General Tire, Viking, Gislaved, Euzkadi, Sime Tyres, Barum, Mabor and Matador. By adopting a segmented supply chain approach, Continental Tires will be able to offer differentiated services to its various customer segments. This will enable Continental Tires to better meet variable customer demand, while also enabling it to execute customer orders in a much more profitable manner. It also helps Continental build a lean supply chain from production all through distribution, agile enough to address current demand and supply variability challenges. “A one-size-fits-all supply chain is no longer sustainable in today’s consumer connected business environment. Manufacturers need the tools to effectively analyze, plan and monitor their end-to-end supply chain, so that they can deliver a differentiated and beneficial service to individual customer segments,” said Mark Morgan, vice president, EMEA, JDA Software. “Continental Tires supply chain performance has been integral to its business success; therefore we are delighted to be helping the company on the next stage of its transformational journey." WHAT: Hackweek 11, where hundreds of Linux engineers devote five days to development on the open source teams and projects of their choice. 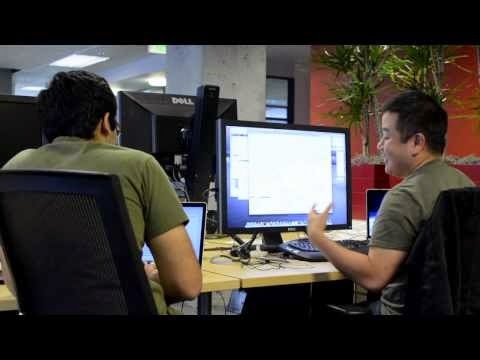 A SUSE tradition that influences and helps shape future product development, Hackweek is designed to support global collaborative innovation from the open source community. Since 2007, thousands of Hackweek developers have contributed to many popular open source technologies that impact thousands of companies and users worldwide. Hackweek projects this year will try ideas or complete original work on projects such as Docker, openSUSE and its ARM port, Machinery, kGraft live kernel patching, SUSE Manager and its upstream Spacewalk project, and SUSE Cloud and its upstream OpenStack project. This is the 11th installment of Hackweek. Awards will be presented. WHO: For any and all interested open source developers and enthusiasts. Sponsored by SUSE, the original provider of the enterprise Linux distribution and the most interoperable platform for mission-critical computing. WHEN/WHERE: Oct. 20-24 at SUSE offices around the world, with other developers participating remotely. HOW TO PARTICIPATE: To sign up or for more information, visit hackweek.suse.com or email hackweek@suse.de. This week in Las Vegas at JiveWorld14, Persistent Systems will showcase its new partnership with Jive Software, Inc, including solutions and integration frameworks for enterprise communication and collaboration. The alliance strengthens the Persistent Systems partner ecosystem with Jive’s industry-leading platform on which enterprises adopt internal collaboration and external community best practices to help their employees, partners, and customers work better together. * Jive is a leading provider of modern communication and collaboration solutions for business. 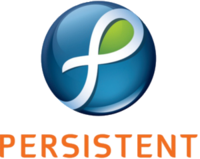 * Through this partnership, Persistent will work with Jive to implement solutions that improve how people and organizations interact and work together as a part of the enterprise digital transformation. * Persistent is developing integrations with major enterprise IT platforms, a crucial driver of success for Jive and its customers, including unique expertise in bidirectional connectors. * This further broadens the portfolio of the Social practice at Persistent Systems. Jive is the leading provider of modern communications and collaboration solutions for business. Recognized as a leader by the industry’s top analyst firms in multiple categories, Jive enables employees, partners and customers to work better together. More information about Jive can be found at www.jivesoftware.com. Persistent will be on hand at JiveWorld14, the premier conference for modern communication and collaboration, attended by more than 1,600 Jive customers, developers, thought leaders and technology partners across several industries. This year’s program focuses on how people and organizations can work better together and gain competitive advantage through collaborative workstyles. JiveWorld14 offers more than 60 breakout sessions and hands-on training workshops about topics such as advanced community management, customer and partner communities and internal collaboration. 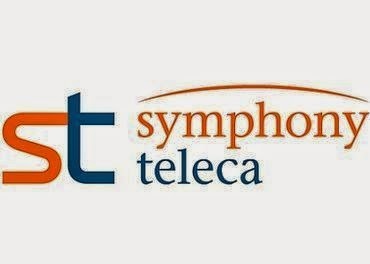 Symphony Teleca Corporation, the global innovation and development services company, was recognized by Gartner in two prominent reports: The Hype Cycle for Vehicle-Centric Information & Communication Technology (Vehicle ICT), 2014(1), where it was listed as a sample vendor within the Embedded Software & Electronics Design and the Remote Diagnostics categories; and the Hype Cycle for Operational Technology, 2014(2), included as a sample vendor in the Remote Diagnostics category. 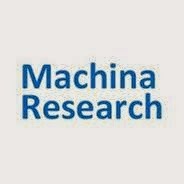 Symphony Teleca has seen widespread traction and record growth in its development of revolutionary predictive analytics solutions for machine-to-machine (M2M) and connected devices, recently bringing to market innovative offerings that further the advancement of connected vehicles and remote diagnostics. 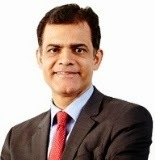 For example, the Symphony ORION platform gives enterprises the ability to generate real-time insights from large amounts of data generated by connected devices to help automotive and other engineers improve operational efficiency, build competitive products and enable positive business outcomes, including decreased costs for OEMs and improved margins. Symphony Teleca has recently launched solutions helping customers to unlock the value of the connected car. Its award-winning InSight Connect platform provides remote software and configuration management throughout the in-vehicle infotainment (IVI) system lifecycle, covering application, software and firmware over-the-air support. It enables monitoring and diagnostics of connected car data and supports content monetization, big data and analytics applications. Specifically for predictive analytics, Symphony ORION provides a powerful solution for M2M data augmenting the InSight Connect platform. It is one of the few big data platforms geared for the automotive space. Symphony ORION has been successfully deployed across multiple automotive and fleet platforms to help companies predict vehicle maintenance, breakdown and service incidents.